President Bush’s “preventive war” strategy in the Middle East not only “comported with what most Americans believed to be desirable at the time” but followed a bipartisan American tradition in such actions, historian Melvyn Leffler writes in the current “Foreign Affairs” magazine. 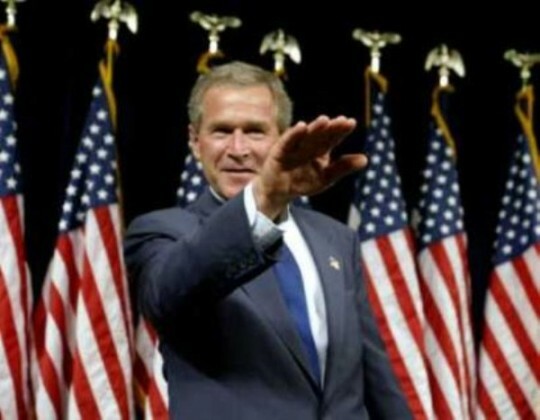 Much of what President Bush did “was consistent with long-term trends in U.S foreign policy, and much has been continued by President Barack Obama,” Leffler writes in an article titled “9/11 in Retrospect.” Leffler is a professor of history at the University of Virginia, Charlottesville. “Thus, U.S. primacy was ultimately damaged by the failure to execute the occupations in Afghanistan and Iraq effectively and by the anti-Americanism that these flawed enterprises helped magnify,” Leffler believes. As for America’s “Global War on Terror,” Leffler points to a 2008 report on counterterrorism from the nonpartisan Center for Strategic and Budgetary Assessments that concluded that war had gone badly since 2002. Any U.S. “gains” in the killing of al Qaeda leaders were “offset by the metastasis of the al Qaeda organization into a global movement” and more, CSBA reported.